b-294x you can change outfits & poses as you like free! 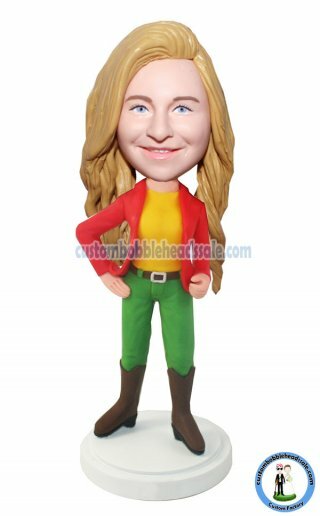 Wearing a red blazer and brown boots, this customized fashion bobblehead doll is with hands on hips. 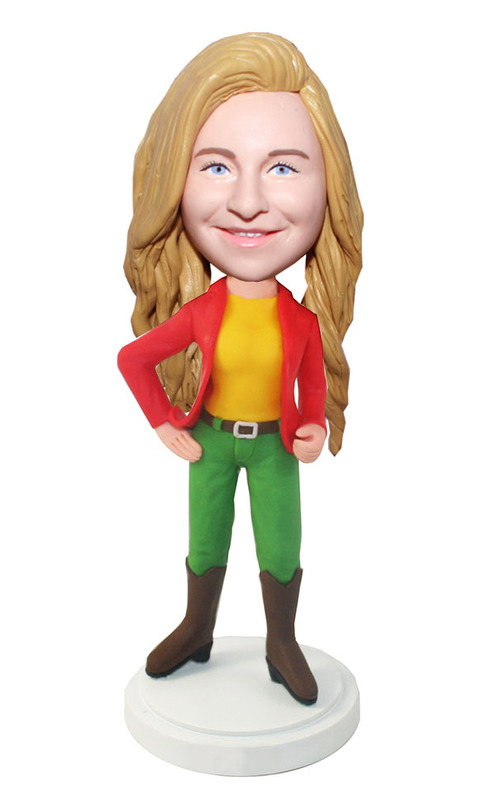 This customized bobblehead can tell how much you admire your friend's nice figure. Also a good gift for her to show how much you're poud of her. And your friendship will turn to another new page!Friend or sister donated a gift,Christmas or Valentine's Day Doll.